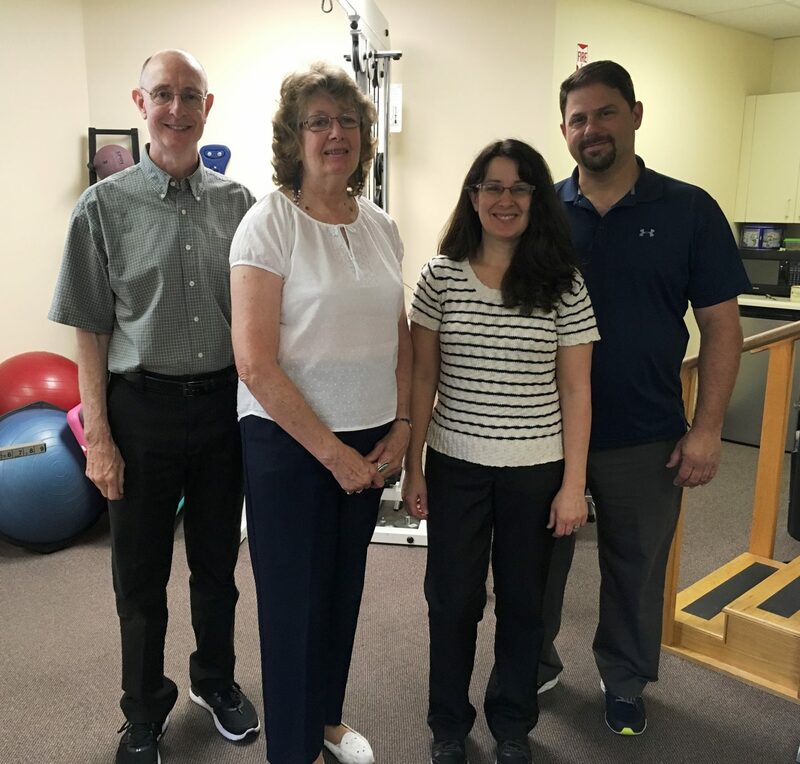 Dave DeMareo, PT, Connie Kresge, PTA, Debbie Daniels and Jay Maccarella, PT welcome and value each patient in our Vineland physical therapy satellite. Bacharach’s Vineland satellite campus has been treating patients for nearly 10 years, and Dave DeMareo, PT, clinical director, has been there every step of the way. Dave started working for Bacharach almost 20 years ago as a PTA before returning to school for his PT degree and joined the Vineland satellite in 2007. The satellite is also home to Jay Maccarella, PT, Connie Kresge, PTA and Debbie Daniels, receptionist. “We are a pretty experienced group and use multiple therapeutic modalities to treat patients,” said Dave. The Vineland staff utilize manual therapy techniques, instrument assisted soft tissue mobilization, therapeutic taping, and more to treat patients. The Vineland satellite is open Monday, Tuesday and Thursday from 8:30 a.m. to 5:30 p.m., Wednesdays from 7:30 a.m. to 5:30 p.m. and Fridays from 7:30 a.m. to 1:30 p.m. To learn more about the satellite or to schedule an appointment call 856-563-1622.